It seems that we've been spending much time in Merrimack over the past few weeks and decided to try lunch at the Thirsty Moose that had just opened at Merrimack 360. Cutting out any fluff Thirsty Moose Taphouse is a sports bar plain and simple. They are in a big open space with tables and high tops everywhere. Large screen TV’s are abundant and you can sit anywhere and see one. Looking above, wooden crates hang upside down from the ceiling and large metal pipes snake above from one end to the other. A long bar stares back at you in the distance. Taps go on as far as the eye can see so craft beer fans will be pleased. That said, they have a full bar that can provide non-beer options. The restaurant was extremely busy upon entry and there was a wait of about 10 minutes. Once seated, I noticed the Red Sox were playing and enjoyed watching the game during the meal. 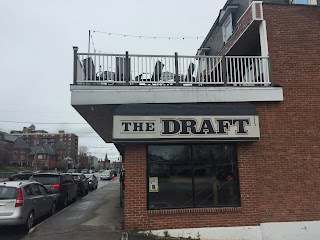 The menu has varied pub fare including beer bites, wings and tenders, pizza, specialties, burgers and sammies, chili and chowda, moose food, and dessert. 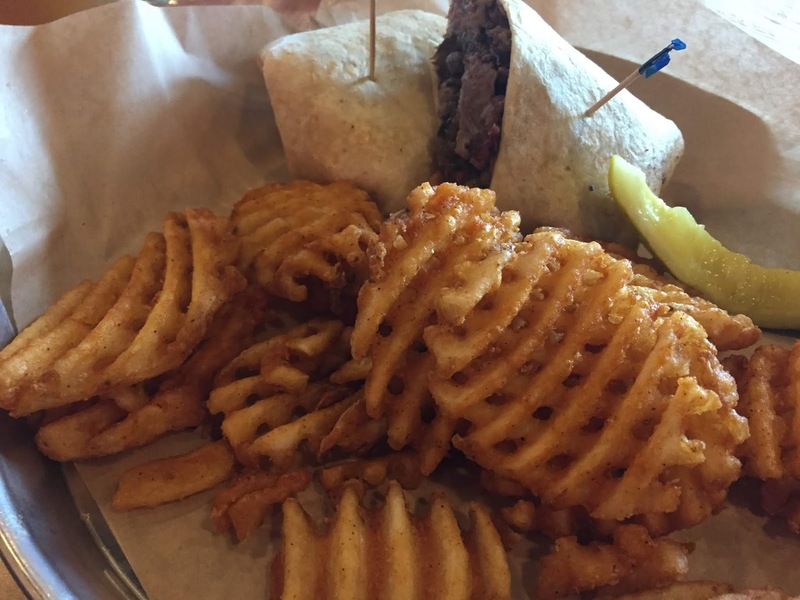 After chatting with our waitress for some recommendations, the prime rib bomb was one pick served with waffle fries. This had sliced prime rib, caramelized onions, peppers, and provolone cheese in a warm tortilla wrap. A succulent mix of all components and at $15.49 the quality made this worth the price. The second selection was the prime rib dip with Cajun Parmesan tater tots and is recommended. The same sliced prime rib is used and dipped in au jus on a French loaf covered in Boursin cheese. Thirsty Moose has 4 other locations in Dover, Manchester, Portsmouth, and Exeter. They have a concept that is working so expansion makes sense for the company. A casual restaurant chain that is good for families and even throws in free WIFI. NH Reviews will definitely be back.